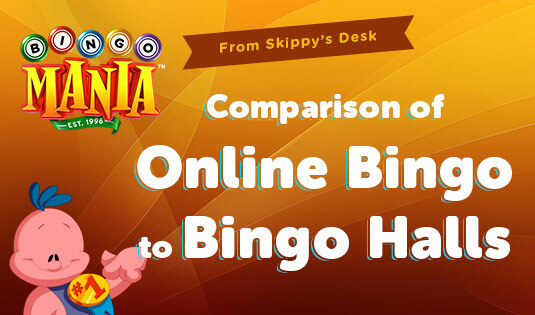 While we’re obviously big advocates of online bingo, it wouldn’t exist if it weren’t for the many bingo halls that continue to hold in-person games. Most people learn how to play bingo through playing with family at home or some charity function or school activity, but a bingo hall is a different experience. 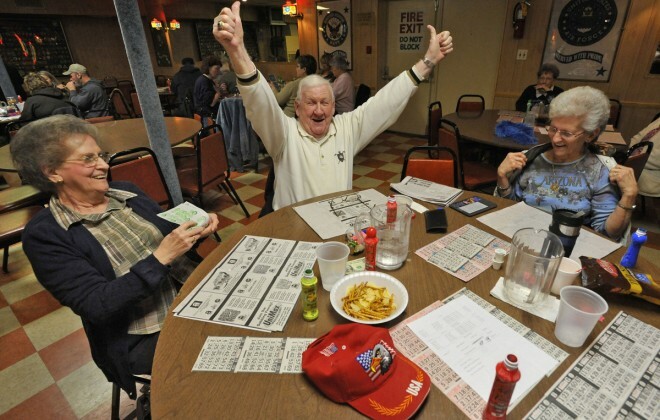 People who play bingo in dedicated buildings can get quite intense over their game! Perhaps you’ve been curious about visiting a bingo hall. Will it be like your online experience? Or maybe you just want something to do? Here’s what you’ll need to know. Most bingo halls can be divided into three sections. The front entry will have the registration table where you can buy cards, daubers (special markers to hold down the cards), and sometimes concessions. The middle section will have long rows of tables for players to sit. The far end of the hall is where the caller runs the game. There will be some method for randomizing bingo draws. There will also be a big board that will show which numbers have been called so far. Sometimes it will also have information about the game that is in progress. Most bingo halls in the US play 75-ball bingo using 5×5 cards. The classic bingo win is to get five spots in a row in any direction, but in bingo halls there are quite some ways to win. The caller is responsible for describing the win conditions before each game, but you’ll have to keep a close eye on your card to see if you have it. There are many combinations. Most are shapes of some kind, but some are specific objects like airplanes or letters of the alphabet. Sometimes these shapes can win in any direction! This makes it tricky to tell if you’ve won, lending excitement to the game. Large jackpot games might even require you to black out your entire card! Each card is marked with a special paint pen called a dauber. It is vital that you only mark the numbers that you have. A card with incorrect marks could be considered invalid even if the actual numbers marking the bingo are painted correctly. Hearing a caller do bingo for the first time can be disorienting. Many callers use a particular set of slang terms for each number, though most do call the number after the slang. At the very least, you can see which numbers have been called by looking at the light-up board. This bingo slang is part of the appeal of playing in a hall. Learning the slang can give you a slight edge over a new player if you can recognize the reference and mark you card before they can. Unlike online bingo, there’s no automatic check for a win. You have to yell out Bingo in order to claim your prize. After bingo is called, the caller will send someone to look at the card and the numbers. If the card is validated the game is finished and you win. If not, then you’re out. Because players have to call out bingo to win, talking is strongly discouraged during play. No social chatting like you can in our bingo rooms! Some light chatting does happen between games. One other thing to look for in bingo halls is particular fears by players. Some of them can get kind of weird. Sitting in the same spot is a big one and you should be prepared to give up your seat if someone comes in later to claim it. Another superstition is to leave money or coins in a particular pattern over your cards, but others say money on the table at all is bad luck. Other lucky charms and even entire rituals are done by some players hoping to catch an edge. 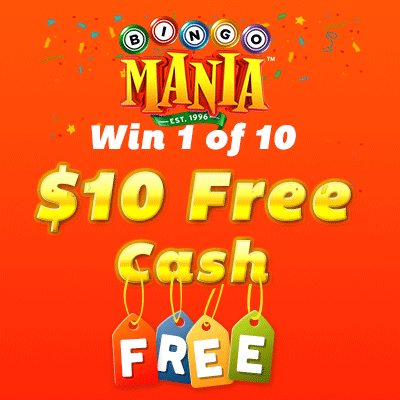 If you like playing online bingo, you might want to try a bingo hall once or twice and see if you like playing that as well. It’s an interesting change of pace. But, we have to say, online bingo is a lot easier for the newcomer to get into! Your turn, Which Online Game Fits Your Personality? and on Thursday, May 19th at 8pm ET, we will randomly select 10 players and award you $10 free cash.Please share or like this post!